“How much should I charge?” Can you relate to any of the following? You haven’t raised your prices for years. You know it’s time, but you’re worried about alienating your existing customers. You’re working really hard, yet it seems that money flies out the door as fast as it comes in. No matter what you do, it seems that there is never enough for you to get ahead to the next level in your business. It feels like an uphill struggle. These are all signs that it’s time to for you to charge more. However, from personal experience, I understand that knowing what you should do and putting it into action are two very different things. If you know that you need to raise your prices but you’re worried how people will react, then you’ll LOVE this week’s episode of BernadetteTV. I’ve included a powerful exercise to help you tap into the true value that your provide and give you the inner self-belief to raise your prices with confidence. Why you bring so much more to the table than what you know, or what you do – it’s who you ARE that makes the difference. Once you watch today’s show, I’d love to hear your thoughts about How Much Should I charge, and your own experiences with setting and raising your fees. I’d love to hear your views on this one. 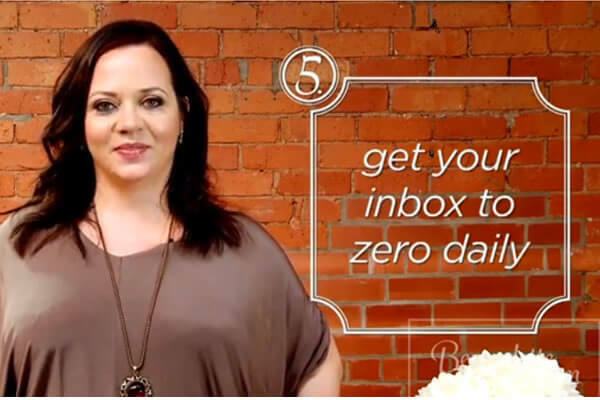 Plus don’t forget to sign-up below and get email alerts and receive FREE Bernadette.TV training videos – sent direct to your email account every Thursday – Thanks! Content Marketing: 4 top tips for attracting new PAYING clients using free content. I agree with you 100%, Bernadette. Five years ago when I first heard about value-based pricing, I increased my prices by a factor of two-and-a-half times the very first time I tried. And I doubled them again the very next time! By getting the client to understand value for themselves, they could explain it to me. I was then able to (had the confidence to) name a price which was a ‘bite your hand off’ return-on-investment for them, but miles higher than I would have charged otherwise. I was now getting paid what the client thought I was worth! Since I stopped having an hourly rate, the highest “effective hourly rate” I’ve worked for is £6,000 per hour, yes six thousand UK pounds per hour! But I know I wouldn’t have got the work if I’d quoted it that way. Great video and great topic! I’ve personally been going through a fee structure change this summer and yes, definitely raising my prices. It really is psychological and a great exercise in breaking through fear. Well done for breaking through your fear Patty! That’s great to hear Lynn. Look out for another video coming up on how to set your prices – it’s amazing how many people get this wrong when starting out. This step is, I think, one of the hardest to make. I have increased some of my fees a lot (1,000 to 5,000) and it was uncomfortable but it was the right thing to do and I actually have more clients now. I still find it hard to present this price but it gets easier with each client and I know that I can offer extra benefits to them giving them a great experience. It has put me more in control of my business and I don’t compare myself with other providers (which I always used to do) because I know that what I am offering is unique to me and my clients know that and want that. 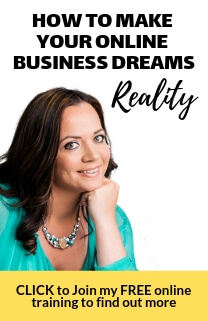 Some great advice here Bernadette and I agree you have to do it and then follow through on delivering a great service or product. Brilliant example Berni – thanks for sharing! I have just recently started my own business with massage therapy. Last night I watched 7 secrets to attracting all the clients you want. And now this one. I feel these have been very good for me already. Just listening to someone tell me that I can do this and have faith that I will do great things helps me to feel more confident. Everything is simply put and and gives me a great plan of action. Thank you. You asked us what has happened if we raised our fees. First of all is the mindset shift. After listening to you in other videos, I have raised prices, in one case raising them 3x and in another 5x as a retainer over 5 months (vs. one-off pricing, so effectively, significantly more). The shift has done wonders for removing stress from thinking about pricing and what others are thinking to thinking about what is the value I’m delivering. Yesterday, I spoke with one of these new clients as we were planning an upcoming event. I mentioned that I wanted to respect her time, knowing we had hit our allotted hour. Her reply was, “Time is not a problem. The time with you is so important that I’ve cancelled other things.” I think in significant part her response reflects the internal sense of purpose, ease, and clarity of commitment that I have to her and the project as a result of getting paid what I believe is appropriate for the value I’m delivering. As I add value, I will continue to challenge myself about raising my prices even further. I put my prices up last week on my website, and had 4 new bookings the same day. None of them commented on the price, and it’s the most new clients I’ve had in one day for a long time! I’m telling my regular clients about the price increase as they come in, and offering packages to save on the price increase if they book before the end of September. So far, very good results, and no one has walked away AND I’m much happier and feel more valued than before. Thank you Bernadette!